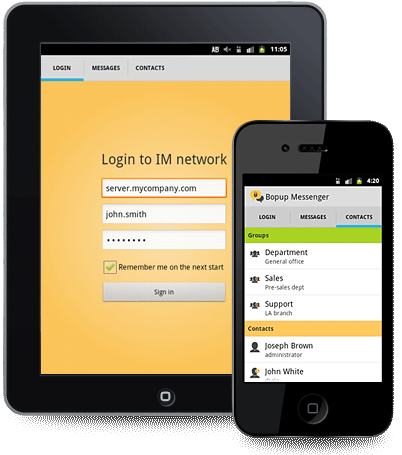 We updated our application for Android platform and released it's version 1.1.0. It has a huge of rewritten code and fixes many issues. The most important fix relates to lost of connection to IM server within few mins after the application went to background on Android device. Another fix is about playing sound notification on receipt of a new message. Version 1.1.0 also contains many other fixes and improvements. This is a recommended update for the application.